A woman covers herself with a raincoat while looking out at the ocean as Hurricane Maria approaches in Petit-Bourg, Guadeloupe island, France, September 18, 2017. PONCE, Puerto Rico - Hurricane Maria, the second major storm to hit the Caribbean this month, crept toward the U.S. Virgin Islands and Puerto Rico on Tuesday after it ripped through the small island nation of Dominica, causing widespread devastation. Downgraded to a Category 4 early on Tuesday, Maria remained an “extremely dangerous hurricane” as it churned about 235 miles (380 km) southeast of St. Croix, the National Hurricane Center (NHC) said in an advisory. The storm plowed through Dominica, an island nation of 72,000 people in the eastern Caribbean, late on Monday causing widespread devastation, Prime Minister Roosevelt Skerrit said in a Facebook post. “I am honestly not preoccupied with physical damage at this time, because it is devastating ... indeed, mind boggling. My focus now is in rescuing the trapped and securing medical assistance for the injured,” he said. With maximum sustained winds of 155 miles per hour (250 km per hour), the storm slammed into the island as a Category 5 hurricane, the NHC said. While the intensity of the hurricane may fluctuate over the next day or two, Maria is expected to remain a category 4 or 5 storm on the Saffir-Simpson scale, the Miami-based NHC said. The storm was on track to move over the northeastern Caribbean Sea and, by Tuesday night or early on Wednesday, approach the Virgin Islands and Puerto Rico, where millions are still reeling from Hurricane Irma earlier this month. If Maria retains its strength, it would be the most powerful hurricane to hit Puerto Rico in 85 years, since a Category 4 storm swept the U.S. island territory in 1932, Hurricane Center spokesman Dennis Feltgen said. The last major hurricane to strike Puerto Rico directly was Georges, which made landfall there as a Category 3 storm in 1998, he said. Puerto Rico narrowly avoided a direct hit two weeks ago from Hurricane Irma, which reached a rare Category 5 status and ranked as the most powerful Atlantic storm on record before devastating several smaller islands, including the U.S. Virgin Islands of St. Thomas and St. John. U.S. Virgin Islands Governor Kenneth Mapp said Maria was due to pass within 10 miles of the island of St. Croix, which escaped the brunt of Irma’s clout on Sept. 6. The island is home to about 55,000 year-round residents, roughly half of the entire territory’s population. 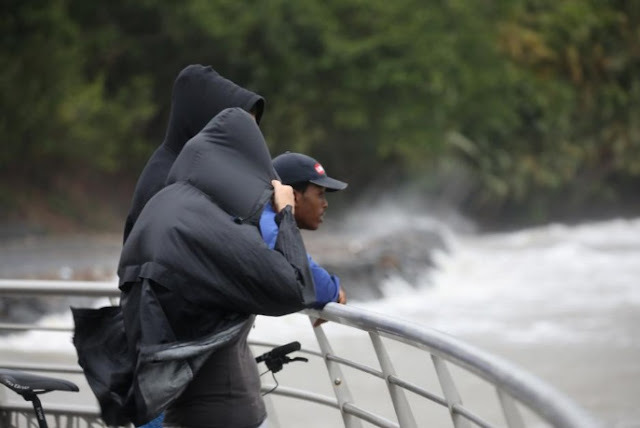 Mapp warned that hurricane-force winds were expected to howl across St. Croix for eight hours, accompanied by up to a foot and a half (46 cm) of rain that would be followed by nearly a week of additional showers. At an evening news conference, he predicted most islanders would be without electricity for weeks, and that “some folks will not get power in months”. A curfew will be imposed starting at 10 a.m. local time on Tuesday, he said. Mapp asked the public for prayers and urged St. Croix residents take cover in one of three emergency shelters on the island. For those choosing to stay in their homes during the storm, he said, they might consider climbing into a second-floor bathtub and pulling a mattress over them to stay safe in the event they lose their roofs. Forecasts predict Maria will be the worst storm to hit St. Croix since Hugo, a Category 4 storm, in 1989. The territory’s two other main islands, St. Thomas and St. John, which lie to the north of St. Croix, sustained widespread heavy damage from Irma, which killed more than 80 people in the Caribbean and the U.S. mainland. Maria was expected to whip up storm surges - seawater driven ashore by wind - of up to 9 feet (2.7 m) above normal tide levels, the NHC said. Parts of Puerto Rico could see up to 25 inches (64 cm) of rain, it said. Puerto Rico, an island of about 3.4 million inhabitants, opened shelters and began to dismantle construction cranes that could be vulnerable to Maria’s high winds as residents rushed to buy plywood, water and other supplies. Maria marks the 13th named Atlantic storm of the year, the seventh hurricane so far this season and the fourth major hurricane - defined as Category 3 or higher - following Harvey, Irma and Jose, the NHC said. Those numbers are all above average for a typical season, which is only about half over for 2017. Hurricane Maria, the second major storm to hit the Caribbean this month, crept toward the U.S. Virgin Islands and Puerto Rico on Tuesday after it ripped through the small island nation of Dominica, causing widespread devastation.